Via some Ebay listings we have In-Package Images of the new Takara Tomy Masterpiece MP-36+ Megatron (G1 Toy Colors). 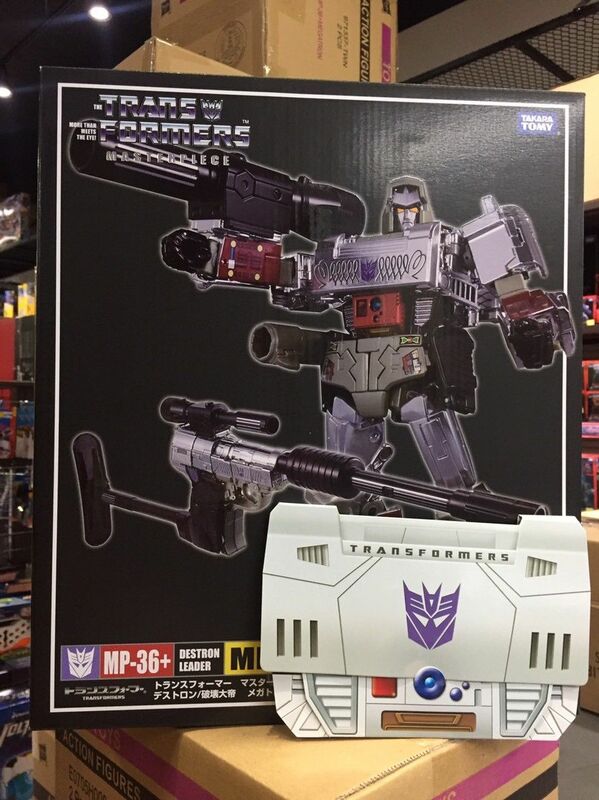 While other Masterpiece “+” (plus) releases have gone by G1 cartoon-accurate colors, this MP-36+ Megatron goes for G1 toy-accurate colors and details. 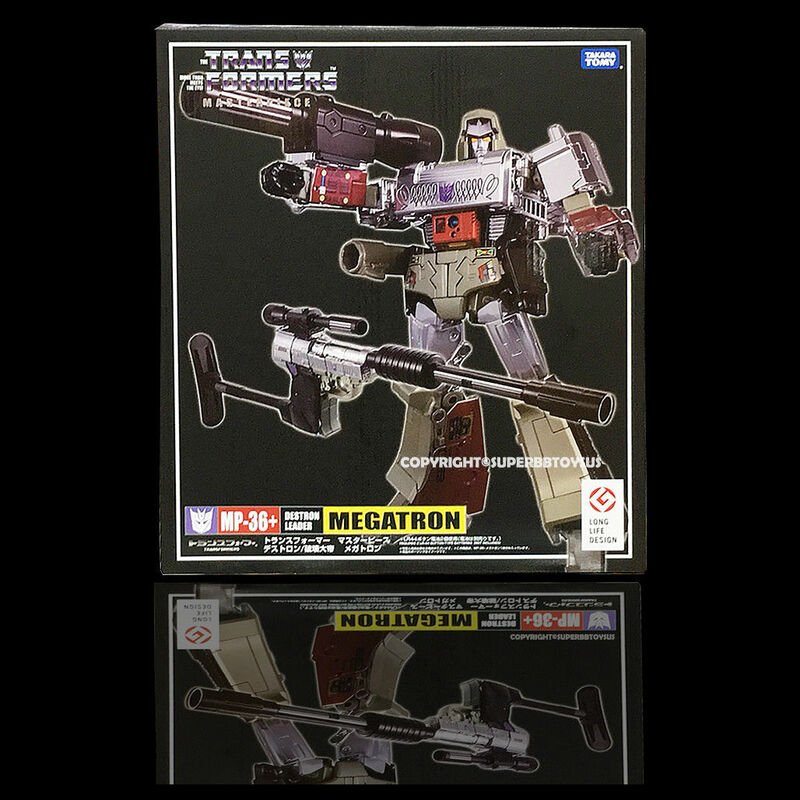 The box features a great picture of Megatron recreating the pose of his classic G1 box art. 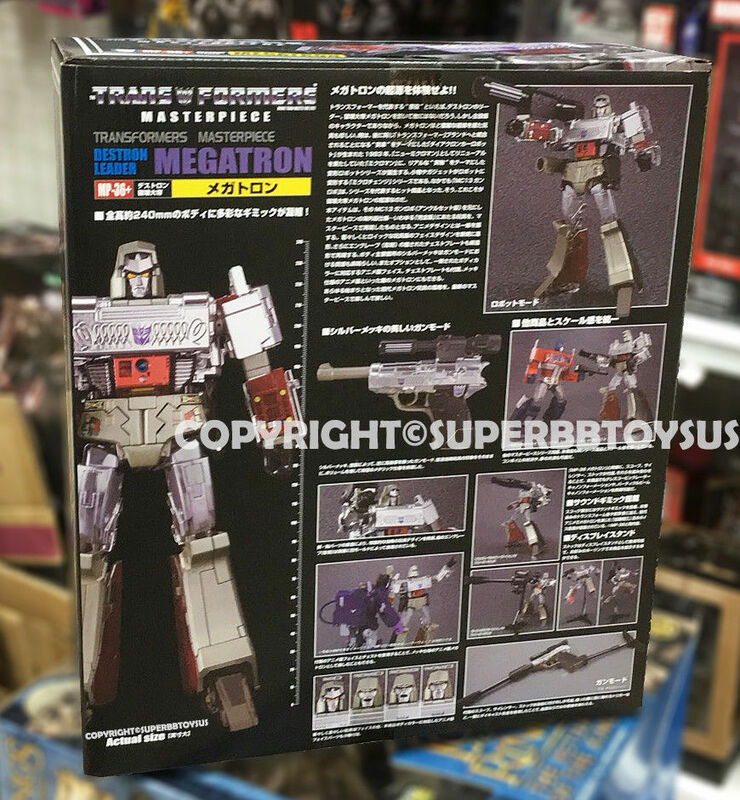 The gun mode is shown in the front too. 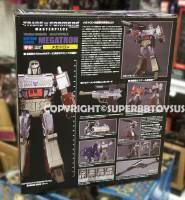 The lower right corner of the box retains the “Long Life Design” logo, but the 35th anniversary logo is absent on this box. One of the images shows a possible collectible coin for this Masterpiece. 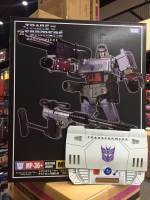 As we can see, the coin packaging looks exactly the same as the original MP-36 coin, but we still need to check the inner content and the coin itself.